Painkiller: Black Edition includes the base game along with the "Battle out of Hell" expansion. 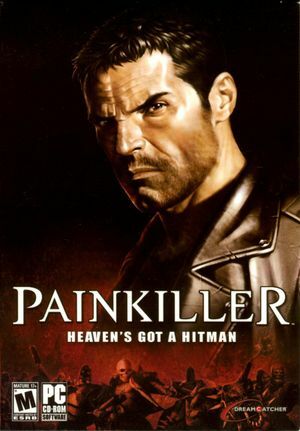 Painkiller Universe includes the base game along with the "Battle out of Hell" expansion and Painkiller: Overdose. Unzip the contents of the "Painkiller Mega Patch" into <path-to-game>. 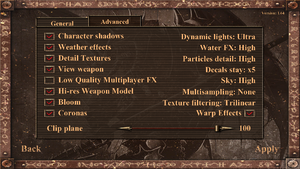 Fixes slowdown on dual-core computers, FOV and HUD can be modified, increases draw distance by removing fog among other fixes. Changes the look and feel of some levels by removing fog, resulting in a different art direction (some levels doesn't look as intended). A list of patches for the game and the expansions can be found here. Go to <path-to-game>\Data\Movies\ in the installation folder. Delete or rename logo-dreamcatcher.bik, logo-nvidia.bik and logo-pcf.bik. 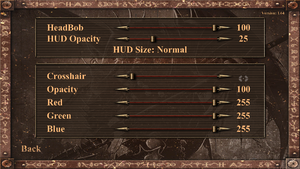 Use Widescreen HUD Fix or the fov number console command. 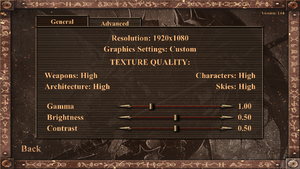 Ingame MSAA disables support for overclocked refreshrates, use driver level antialiasing instead. 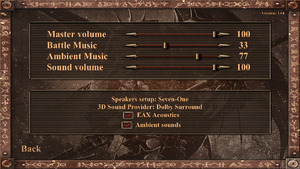 Can be forced through drivers but causes slowdowns at 60Hz when the player is being hit. ↑ 4.0 4.1 File/folder structure within this directory reflects the path(s) listed for Windows and/or Steam game data (use Wine regedit to access Windows registry paths). Games with Steam Cloud support may store data in ~/.steam/steam/userdata/<user-id>/39530/ in addition to or instead of this directory. The app ID (39530) may differ in some cases. Treat backslashes as forward slashes. See the glossary page for details. 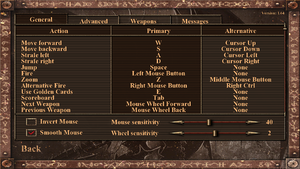 This page was last edited on 17 April 2019, at 17:35.